Free air cooling for eBay in the heat of Arizona? Believe it! Source: Prentice Hall/Pearson Education. Image provided courtesy of eBay. 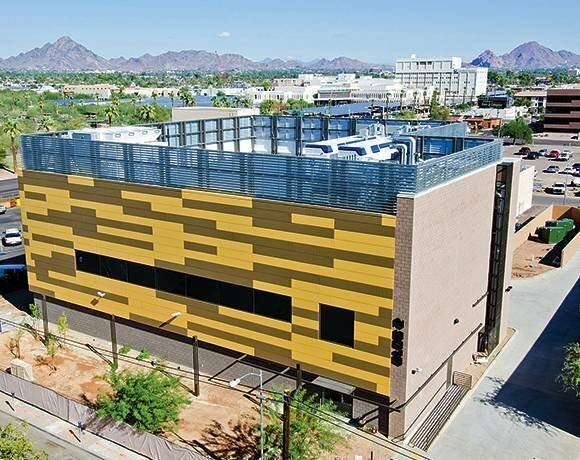 The Project Mercury data center in Phoenix, Ariz. Finished in October 2011, eBay Inc.'s facility sports a regular server room inside and several containerized data centers on the roof. Why? It all comes down to flexibility, says Dean Nelson, eBay's senior director of global foundation services. Some of the containers and servers rely on a specially designed hot water cooling loop while others rely almost exclusively on free air cooling from the cool night air.